Creole, Murray's latest and his second for the Canadian Justin Time label, is a pure joy. It's a high mark in a career sparkling with exceptions and boundary pushing. Recorded in Guadeloupe in early 1998, Creole is a fiery, imaginative musical coalition of Murray's long-time American compatriots, James Newton (flute), D.D. Jackson (piano); Ray Drummond (bass) and Billy Hart (drums) and a group of Caribbean percussionists, vocalists and the outstanding guitar of Gérard Lockel. The near-perfect blend is accomplished with an emphasis on rhythm, something Murray has explored on a part-time basis since at least 1989's Golden Sea (Sound Aspects), with Kahil El'Zabar. Even when there's no percussion or rhythm section, rhythm is on Murray's mind here. Witness the two exceptional duets (Murray's "Guadeloupe Sunrise" and "Guadeloupe After Dark") with the star-worthy guitarist Lockel, who somehow suggests a surprising cross between James Blood Ulmer and Ray Lema. Murray snakes around the guitarist and plays in a dance that merely suggests percussion. Amazingly, he makes rhythm unnecessary. But rhythm plays a significant, successful part in most of Creole. There's the thundering intro of Klod Kiavue's "Gété" an exotic piece that finds Murray, Jackson and Newton wandering freely (like home) over the ceremonial and rebellious Gwo-ka rhythms. The island's Spanish and French heritage are most apparent in the Latin-reggae fusion of "Savon de Toilette," featuring Francoise Landreseau's chant-like vocal and a spirited, sensual interjection from Murray's tenor. Creole, like the less successful world-beat collage of last year's Fo Deuk Revue, also on Justin Time, is a collection of spicy tastes, shifting colors and varying moods. But here, unlike Fo Deuk Revue, Murray neither belabors his exotica nor strives for a groove he can't feel. Creole's greatest moments are a result of the strong material found throughout and Murray's uncanny ability to immerse himself into the remarkable chemistry of the collective. It's apparent on the nearly straight bop of Murray's sweet "Mona" (one that lends itself to more coverage), the tribal dance of Kiavue's "Gansavn'n," and, on the two standout tracks, both by Teofilo Chantre: "Tonte Vontarde" and the lovely bossa waltz of "Flor Na Pual," the latter with a sensitive Nascimento-like vocal and an eloquent bass clarinet solo from Murray (recalling 1993's incisive DIW set, Ballads for Bass Clarinet ). Creole is full of surprises - and offers much that's inviting, exciting and worth hearing again. David Murray has already moved on to other things (his orchestral tribute to Duke Ellington premiered in NewYork City last December and is scheduled to be recorded sometime this year). 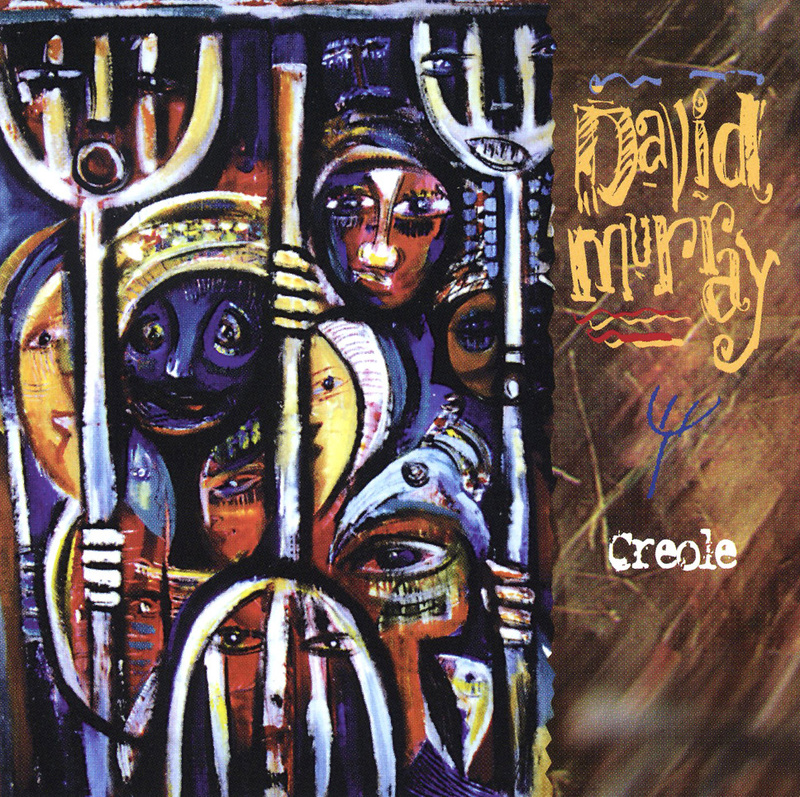 But Creole is one of Murray's most accessible recordings to date, one of the easiest to find and one that is superlative among his many 1990 recordings. Highly recommended.